Who would have thought? Austin, known for its plethora of live music, ranks 42nd among international fashion cities for shopping experiences, according to Global Language Monitor, a media analytics company that tracks cultural trends. Recognition of Austin’s South Congress Avenue and Second Street shopping districts as among the world’s best is another reason for visitors to love our city. 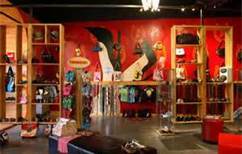 Here are some favorite shopping destinations for locals as well as visitors. While Austin offers plenty of upper class shopping venues, some featuring local jewelry and clothing designers with national reputations, one of the most fun hangouts for the hip crowd is South Congress, affectionately called SoCo by those who frequent the strip between the 1100 and 1700 blocks. This colorful stretch of Congress Avenue is lined with funky storefronts featuring unique and slightly kooky items, plus vintage shops where today’s young adults recreate fashion styles of previous generations. Need a portrait of Geronimo, cowboy boots (try Allen’s Boots), or a “Keep Austin Weird” T-shirt? Head south. It’s a great nostalgia trip for any age—and you might find a special piece of jewelry, shawl, or handbag just like grandma owned. Walk along The Drag, otherwise known as Guadalupe Street, to glimpse wacky characters for which Austin is known (The city motto is “Keep Austin Weird”). The closest shopping strip to The University of Texas, it offers both hip and chic styles, including second-hand shops that are popular with students and other bargain-seekers. Go upscale at TheArboretum, a huge complex of shops and businesses in an outdoor park-like atmosphere. Other renown shopping malls that have embraced the outdoor concept—possible because of Austin’s moderate climate and 300 days of sunshine a year--include The Domain in the northern district and Hill Country Galleria to the west in neighboring Bee Cave. Nirvana for serious shoppers is the huge conglomerate of outlet malls in San Marcos, about 35 miles east and approximately halfway between Austin and San Antonio. Foodies have plenty of options, too. Health-conscious Austin boasts huge retailers of organic foods and all things natural—including bottled rainwater for drinking. Need a specialty recipe ingredient? 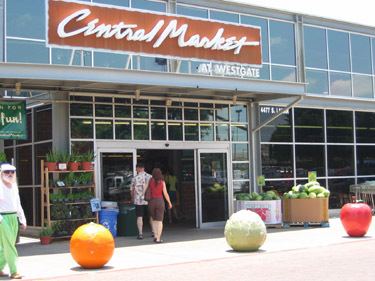 WholeFoods Market or Central Market will surely have it. Head to Run-Tex for athletic shoes and biker spandex. Austin offers plenty of shops with knowledgeable staff and great selections of any outdoor activity or sports equipment. Independently owned BookPeople and Waterloo Records have loyal followings and attract national names for signings and programs. Wild about Music is a Sixth Street art and gift gallery dedicated entirely to music.